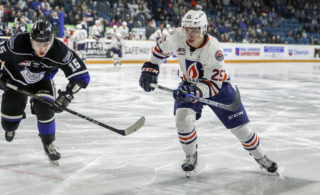 Kamloops, BC – The Kamloops Blazers have named Matt Bardsley as the General Manager of the hockey club. Bardsley started with the Portland Winterhawks in 1999 as a Scout. 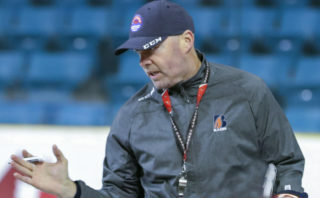 He worked his way up through the Winterhawks organization and spent the past eight seasons as Director of Hockey Operations and Assistant General Manager. During Bardsley’s time with the Winterhawks, they have appeared in four WHL finals and won the 2013 WHL Championship. A few notable players the Winterhawks have drafted and developed into NHL players under Bardsley’s tenure include Ryan Johansen, Brandon Dubinsky, Ty Rattie, Nino Niederreiter, Sven Baertschi, Brendan Leipsic, and Nic Petan. The Winterhawks current roster also includes first round NHL draft picks Cody Glass and Kieffer Bellows. 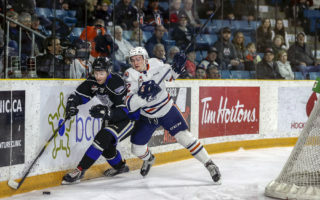 “I would also like to thank the Portland Winterhawks organization for all of their support and guidance over the years as well as preparing me for this next step in my career,” said Bardsley. The search for a coaching staff will begin immediately. 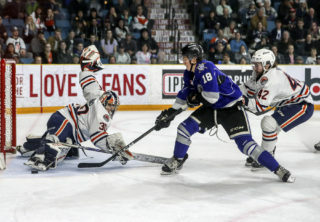 All resumes can be sent to info@blazerhockey.com. Bardsley will be in attendance this weekend as the Blazers host their annual Spring Prospects Camp. The camp will feature the 2002 and 2003 born drafted and listed players. 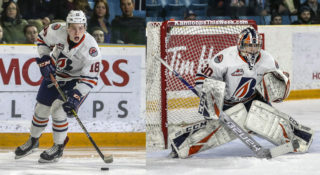 The hockey club will have 23 players participate in the camp including Kamloops natives Logan Stankoven (1st round, 2018) and Jarrod Semchuk (6th round, 2017). Ice sessions will be at Brock Arena and are open to the public on Saturday, June 2 from 12:30pm – 2:15pm and Sunday, June 3 from 9:30am – 11:15am.